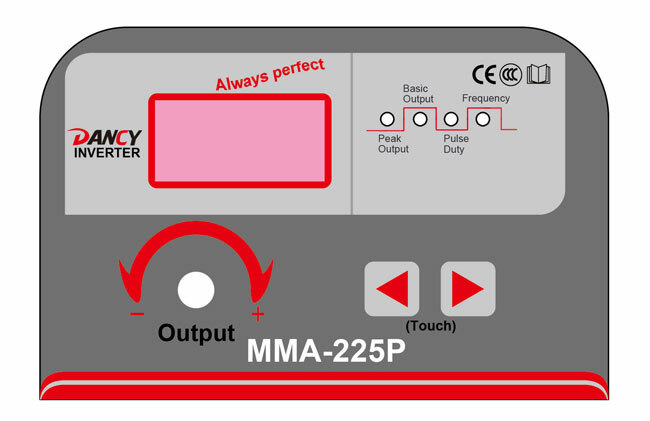 It is a new arrival for welding marketing,that is MMA PULSE welding machine MMA-275P,It has been launched into marketing since 2015 successfully after nearly 1 years hard work by our research and development department people. 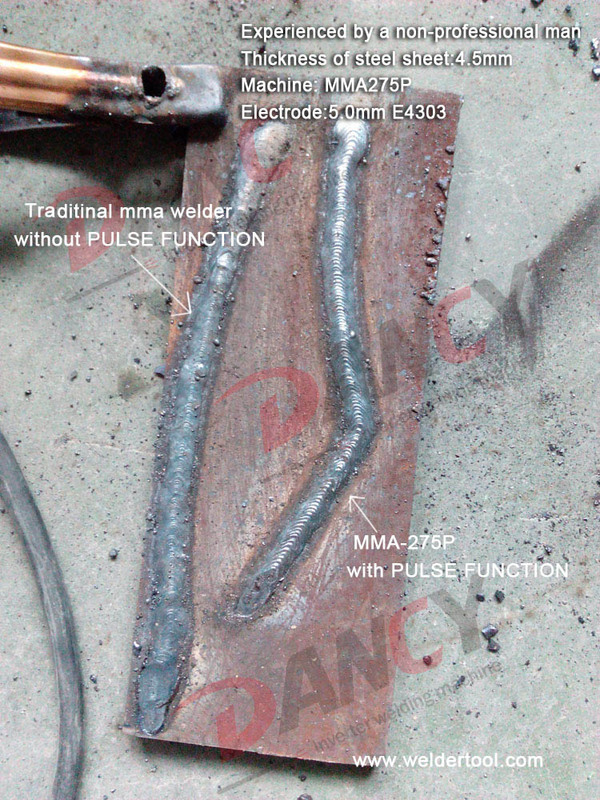 Pulse function is designed at option.You can do welding under of pulse function or no-pulse by adjustment. Thanks of pulse function,adjusting welding gap and welding speed,welding pool depth become practical.This machine help people get a great performance,even no-professinal people could make a perfect welding job! 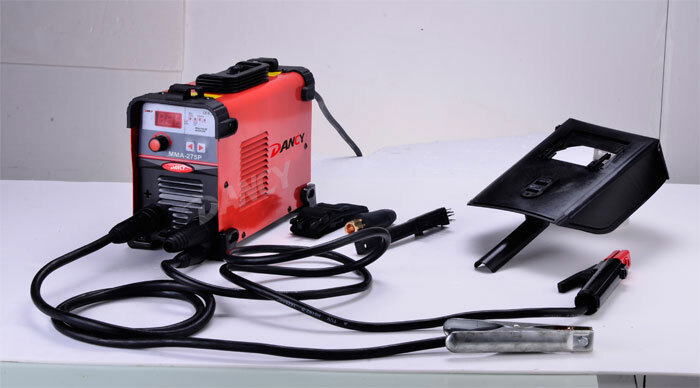 This welding machine MMA275P is a pocket size inverter ARC welder,do welding with Cored electrode.It is excellent to use both in the factory or for outdoor field work. The applications are range from marine construction, steel craft job and small maintenance work. Thanks to the digital display, the welding current can be adjusted easily and accurately . Ideal for welding metals such as iron, stainless steel and cast iron; Rutile diameter 1.6 mm to diameter 5.0 mm. and basic electrodes up to diameter 5.0 mm. with extreme ease and continous welding for a long time without going protection. The welding machine is very light, compact, practical,easy to handle.It is delivered in a practical export carton (durable aluminum top box is available) along with 300A electroder holder with welding cable 3m,300A ground clamp with wire cable 2.0 m. Soldering protection mask is supplied with machine together,as well as slag hammer. Thanks of voltage auto-compensation design,the machine works perfect at voltage unstable area,it also be used with generator +/- 25%. Should you get interest,kindly please send enquiry of this model directly on our website ,we are glad to share excellent quality and price with you.